If you were around in the area in the 70s and 80s, then you are familiar with Moore family. 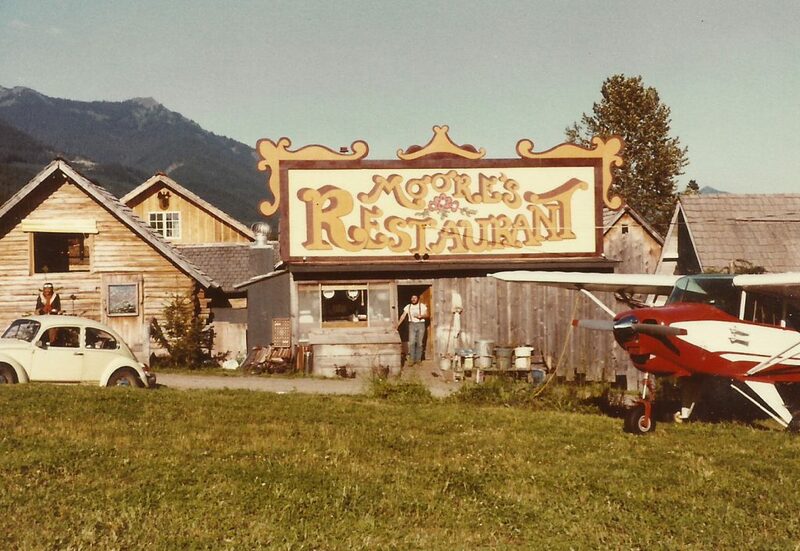 The Moore Family Mountain Crafts in Ashford, Washington provided a place for a multitude of talented artisans. You could stop by and find people making pottery, painting and sculpting. Duane “Duke” Moore was well known for his sculptures, and you can still find them around today. Hi…I lived in Ashford 1947-48. I was then 8 years old and was fun to play in the woods those days. Love to return to that time for a few days or more and experience those times again. But too young to know if the Moore place was there in those days. I grew up in Ashford in the early 80s and we were family friends of the Moore’s. It was a great time and a great restaurant. My husband is a member and current historian of the Northwest Carver’s Association based in Federal Way and Duke helped found the club. We have many photos of Duke and his work just now. So fun to reminisce. Stephen was also given some of Duke’s unfinished carvings to finish and patterns to use. It has been a real honor to him. My grandparents, Larry & Bernita Jeschke lived in Ashford and knew the Moore’s well. My brother worked in their restaurant one summer. We always enjoyed getting by their place. I have very fond memories of it.